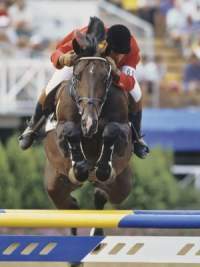 Eighteen out of the first 30 stallions of the WBFSH (World Breeding Federation for Sport Horses) top 100 show jumping stallion rating for 2011 are breed in Germany, or having predominant German bloodlines in their pedigree. 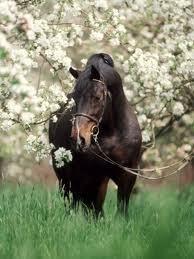 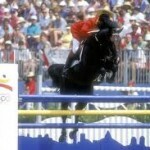 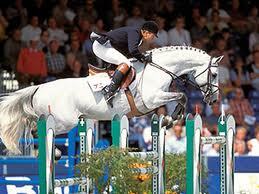 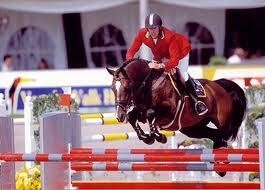 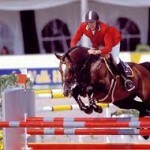 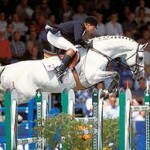 Without a doubt the German show jumping horses are within the most successful in the world. 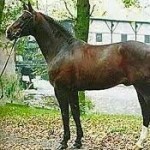 Such important stallions like Carthago ( Holsteiner by Capitol I x Calando), Caretino (Holsteiner by Caletto II x Metellus), Contender (Holsteiner by Calypso II x Ramiro ), Calido I (Holsteiner by Cantus x Coriander), Corland (Holsteiner by Cor de la Bryere x Landgraf I), Cumano (Holsteiner by Cassini I x Landgraf I), Indoctro (Holsteiner by Capitol I x Caletto II), Clinton ( Holsteiner by Corrado I x Masetto), Voltaire (Hanoverian by Furioso II x Gotthard)and the legendary Polydor ( Westphalien by Pilatus x Fruehlicht I) made it on top of the yearly who is who of the sport stallions. 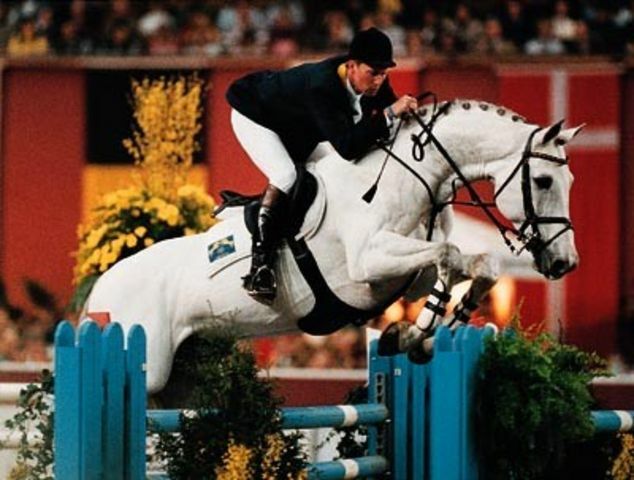 But also the number one of the show jumping stallion top 100 list Darco (Belgian Warmblood) has with his Hanoverian sire Lugano van la Roche (Hanoverian by Lugano I x Ableger I ) and his Holsteiner dam sire Codex (Holsteiner by Cottage Son x Lothario), a pedigree full of German ancestors and Darco’s son Nonstop (Belgian Warmblood) who’s dam Glorca van het Schuttershof (Belgian Warmblood) has with her sire Carneval (Holsteiner by Cor de la Bryere x Farnese) and dam sire the great Holsteiner stallion Lord a nearly fully German pedigree. 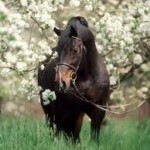 Also the leading KWPN (Royal Warmblood Studbook of the Netherlands) stallions on the top of the list are strongly influenced by the German breed. 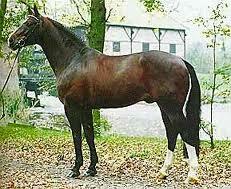 The Hanoverian stallion Voltaire (Hanoverian by Furioso II x Gotthard) is the sire of two KWPN top stallions Kannan (Voltaire x Nimmerdor) and Concorde ( Voltaire x Marco Polo) another KWPN top stallion Numero Uno has with his sire Libero H (Holsteiner by Landgraf I x Ronland) and his dam Jolanda (KWPN) by Lord Calando (Holsteiner) x Ahorn Z (Hanoverian) a pedigree full of German top stallions. 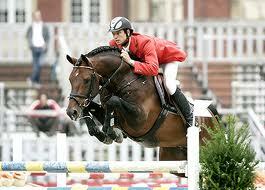 The KWPN stallion Burggraf ( Landgraf (Holsteiner) x Core de la bryere). 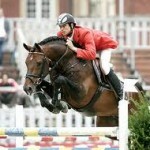 Also Belgiums Zangersheide stood book lines made it on the top of the stallion list with German bloodlines, Lux Z (Zangersheide by Lord Calando (Holsteiner) x Ahorn Z (Hanoverian) ) is listed as number 17 on the 2011 listing.